If you would like to enjoy time outside in the evening without getting bit by mosquitoes, you are likely looking for a method to keep the invaders off your skin and away from your property. Almost everyone knows the annoying buzz and itching bite that comes when mosquitoes are nearby, but not everyone realizes that the right steps can safeguard them from the parasites. You will want to arm yourself with as much information as possible if you would like to prevent mosquitoes from causing trouble for you and your family. Moving forward does not need to be difficult if you have a proven plan near the front of your mind, but you must keep your eye on your desired outcome if you want to succeed. Also, consider the problems and hazards you could face if you don't address a mosquito infestation. When you put in the effort to understand why mosquitoes are a threat to your safety, you will find the motivation to get rid of them. In addition to causing itching and mild skin irritation, a mosquito's bite can spread a range of harmful pathogens. In fact, the diseases mosquitoes spread kill more people than any other animal on the planet. Many people are unaware of the danger and don't take measures to protect themselves or their loved ones from the risk. A mosquito that bites a person with a transmittable disease will carry the pathogen and pass it to the next person it bites. When you look at the whole picture and see the threat, you will know that keeping these pests off your property and away from your skin is a smart move you can't afford to overlook. 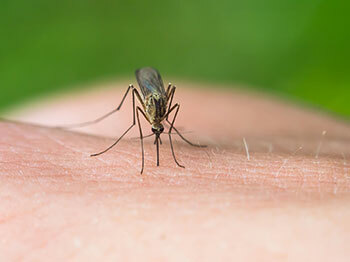 Look around your yard for things that entice mosquitoes when your mission is to reduce the number of bites you will get. They like to hide in thick weeds and tall grass to avoid detection while they sleep during the day. Mosquitoes look for stagnant water when they are ready to reproduce, so buckets of water, ponds and swimming pools can draw the insects into your yard before you know it. When mosquitoes are on the hunt, they will use the carbon dioxide from your breath to locate you, but they can also pick up on your thermal signature when they need a fresh source of blood. If you know the things for which mosquitoes look when they want to reproduce, sleep or locate a host, you will have a good idea of what you can do to keep them away. Using at-home tactics and solutions to keep your yard free of mosquitoes can reduce your odds of getting one of the diseases they transmit, but you can't get rid of every mosquito without help. If you want to enjoy the best possible results, Germantown Pest Control & Termite is ready to give you a hand and offer the support you need. We will treat your yard for mosquitoes and their eggs, but we will also take measures to prevent future mosquito problems from occurring on your property. We always pay attention to each detail when we are on the job so that we won't miss anything, and we are confident that you will notice the difference. If you are ready to begin and to make your mosquito problem a thing of the past, contact Germantown Pest Control & Termite today.